When you think of Kelowna a few world-famous traits come to mind such as wine tours, fun in the sun, and orchards. But did you know that Kelowna is also home to some of the best LGBT2Q+ shows in BC? With thanks to acts such as Sparkle, Kelowna residents and visitors alike are treated to fun, fervour, and ferociousness! Sparkle has been bringing the Kelowna drag scene to life since 2012 when she was dared by a friend to enter Kelowna’s first annual drag competition. With a background in theatre and drama, it was a natural fit! Now referred to as the “Homer Simpson of Drag,” Sparkle is a renowned performer and is the host of Kelowna&apos;s legendary Peak Pride event, which happens every spring at Big White Ski Resort. 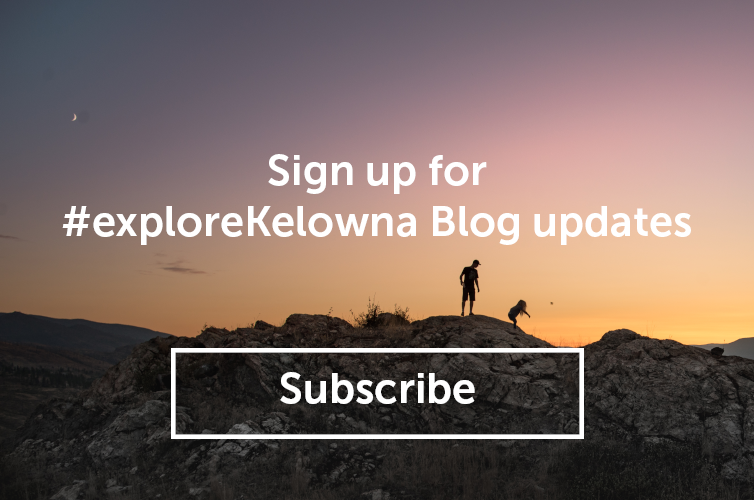 For a little insight into how a Kelowna Queen with a flair for adventure spends her leisure time, we asked Sparkle to share some of her favourite things to do in Kelowna. Attending events such as Fruitcake, Peak Pride, Embodiment. Performing at these events is always a blast but the best part is looking out at all the hotties in the crowd. I may be known for getting our DJs to remove their shirts - woof! Packing a thermos full of hot chocolate (sometimes with a little Baileys - can you blame me?) and heading down to the free ice skating rink in Stuart Park. Who doesn’t love a good reason to show off how adorable you are in your fav mitts and scarf? Don’t I look fierce on skates? This picture was taken just before I fell flat on my big padded a$$. Experiencing some of the amazing restaurants like RauDZ or Waterfront Wines. I love, love, love, the daily specials at RauDZ so you can’t go wrong if you visit that spot on any day of the week. Be sure to enjoy the organic menu at Waterfront Wines, now in their 14th year. Taking a fall stroll on the lake along the boardwalk to take in all the eye candy Kelowna has to offer! For a deeper look into Sparkle’s ongoing shenanigans, check out her Facebook and Instagram profiles. Dustyn Baulkham is a mover and shaker in Kelowna’s LGBT2Q+ and arts community. 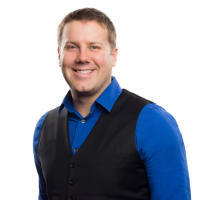 He is a Bachelor of Management Graduate from UBC Okanagan and former banker turned community builder. Dustyn is the Executive Director of the Arts Council of the Central Okanagan as well as the founder & visionary at Rebellious Unicorns which produces FruitCake, MX, Peak Pride, Dirty Mutter & Cub Crawl. Over the years he has been involved in LGBT2Q+ community all over Canada including President at Kelowna Pride, Board Member at Vancouver Pride and Treasurer at Fierte Canada Pride. Find Dustyn on Instagram and LinkedIn.